This month, Bloomberg released the 2019 Gender-Equality Index (GEI), which includes 230 companies across industries that are committed to transparency in gender reporting and promoting equality. 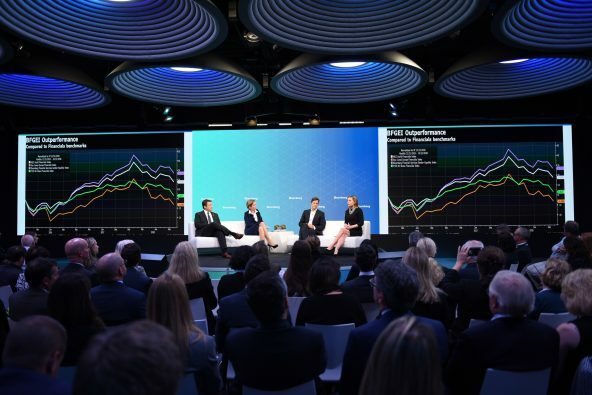 In my role as the head of the Index, I have had the opportunity to connect with business leaders from many of these organizations and gain a stronger insight into why companies report gender data and the value in participating. Below are a few highlights from my conversations with CEOs across the globe on the impact the Bloomberg GEI has had on their organizations. Companies included in the Bloomberg GEI also show a strong commitment to reporting these metrics, in addition to highlighting their best-in-class policies. This is important not only to promote transparency in their firms, but also to act as leaders across their respective industries. We are in a climate where transparent policies surrounding compensation is becoming increasingly important across the globe. This past year, the Bloomberg GEI partnered with the British government to align reporting metrics with the nation’s reporting mandate. And recently, Citi, a 2019 GEI company, also released a report detailing a wide range of metrics relating to compensation to demonstrate their commitment to improving these figures. As Jan Zijderveld, CEO of Avon Products explains, “I fundamentally believe in equal pay for equal work. That’s one of those simple things. You do the same work, you should be paid the same thing. How could anyone not believe in that?” In the 2019 Index, we can see that while progress has been made to narrow the gender pay gap, there is still a ways to go, with 60% of firms conducting compensation reviews to identify gender-based variations in efforts to close their average 20% pay gap. By conducting reviews and committing to public transparency, these companies are showing how corporate responsibility can work to close this gap. Through the ongoing initiatives of these 230 companies, and their public commitment to being transparent with their data, these organizations are showing the value of promoting women in their leadership teams, across their companies, and in the communities they ultimately serve.